A Hackney Council Planning Sub-Committee will meet at 6.30pm on Thursday, 30 March, to vote on controversial Transport for London (TfL) proposals for a massive private residential tower block development at Dalston Junction, E8, which would use £10m of public funds but fail to provide any affordable housing. The proposals contravene requirements for large scale developments to allow a substantial percentage (50%) of affordable housing, as set out in Mayor of London/Greater London Authority’s ‘London Plan’, and in the Council’s own guidelines. Ken Livingstone has failed to explain why tax payer’s cash is being allowed to subsidise a private development with no affordable housing, as has TfL and the Office of the Deputy Prime Minister, which is stumping up the £10m. OPEN is staging a protest in front of the Town Hall, at 5.45pm, on Thursday 30 March, before the Sub-Committee meets, to make it clear that the community of Dalston deserves and demands a better future than these poor quality, short sighted proposals. • High rise, high density buildings in an already densely populated low rise area. • ‘Bus turnaround’, which TfL admits would worsen traffic congestion in the area. • No affordable housing suitable for key workers or families, despite this being the greatest housing need. The Council’s Planning Department has again disregarded a mass of local objections and has recommended that the Committee approve TfL’s proposals. 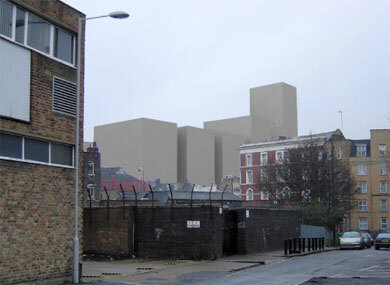 The TfL owned site consists of the disused railway cutting running parallel to Kingsland Road, from Forest Rd in the south to Dalston Lane in the north. The East London Line extension which will run along the reused cutting is completely guaranteed, as is a new tube station at Dalston Lane. 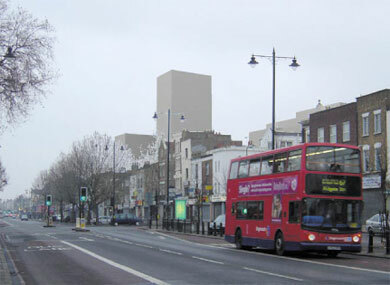 The TfL proposals concern the space over the cutting should plans for a £39m concrete ‘slab’ proceed. The slab would cover the new tube line between Dalston Lane and Forest Road to allow development of a bus/train transport interchange. The cost of the slab is being met by proposals for a highly developed site, including several high-rise blocks, including one of at least 20 storeys, in an area that is predominantly four storeys high. 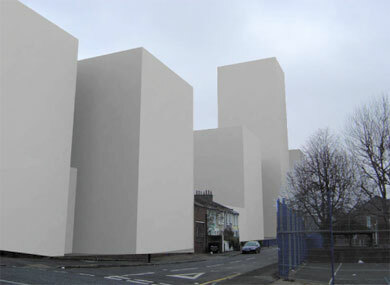 The height, density and overall size of the proposed buildings would be totally out of scale to the area. The proposed development is so dense that it disregards minimum building standards. Developers are normally required to ensure there is at least 21 metres between "habitable windows". Yet, in TfL’s proposals, residents would have neighbours’ main windows a mere five metres away, compromising privacy and guaranteeing noise pollution. TfL give a major part of the site over to a ‘bus turnaround’. Approximately 120 metres long, it would run north-south, exiting onto Kingsland Road through an access road created by demolishing Dalston’s acclaimed branch of Oxfam. Bus routes travelling towards the City from areas north of Dalston would terminate at the bus turnaround and head north again. Passengers would have to transfer onto a second bus or the new tube to complete their journey south. TfL have not explained how this benefits the community. Security of the bus turnaround is also a major concern, as is the associated pollution and congestion. The TfL proposals make no provision for green space. The granite paved plaza which they propose seems purely transient. TfL’s own submission states that there would be such a severe wind tunnelling effect at street level that sitting or spending any leisure time in the new open space will not be an option. The TfL site sits adjacent to the Hackney Council owned site on which stands the former Dalston theatre/Club Four Aces/Labyrinth. Hackney Council have stated their intention to replace this with a high rise development which mirrors the TfL proposals in style, height and density. 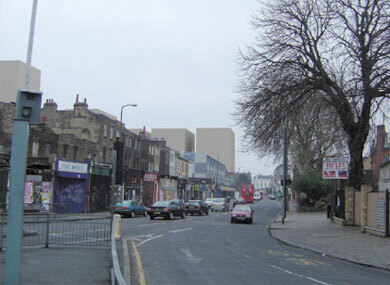 In February the Council voted to demolish all of the historic buildings at 4-14 Dalston Lane, including the theatre. The buildings still stand and have been occupied for the past five weeks by protesters who wish to see the buildings reused. OPEN has been campaigning since early 2005 to have these disgracefully neglected historic buildings, council owned since 1977, restored and put back into use. OPEN is committed to seeing the community fully involved in any regeneration plans for Dalston. When Hackney Council’s planning department was recently asked by neighbouring Islington and Tower Hamlets to comment on planning applications for high rise developments on the borough borders, they dismissed the plans as unacceptable. 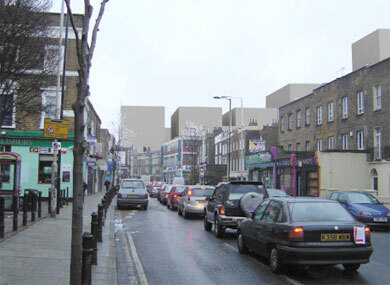 As reported in Hackney Gazette on Thursday 24 March, the Council criticised proposals for a 28 storey block on City Road and a 23 storey block on Hackney Road as "brutalist" and expressed concern that they would create a "physical and visual barrier" for local residents and have "an unacceptable impact on local conservation areas". Hackney’s planning department has simultaneously ignored similar objections lodged by Dalston residents and recommended that TfL’s proposals for several high rise towers at Dalston Junction be approved. 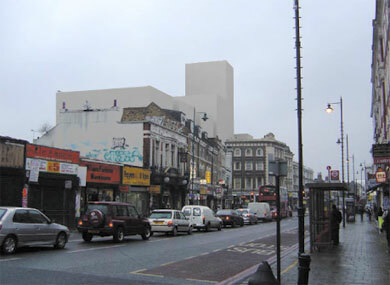 Do these proposals reflect the Dalston Area Action Plan "Vision & Objectives"? … "to consolidate and strengthen Dalston's unique character"? … "an attractive new gateway to Dalston… a benchmark of the urban quality that will define Dalston in the future"? 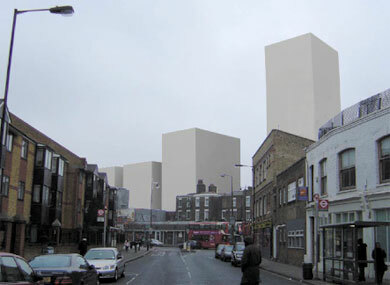 … "development which complements nearby buildings… and protects and enhances the quality of Dalston's built fabric"? … "creates new views and vista or enhance the existing ones"? … "landmark buildings help to define the area"?